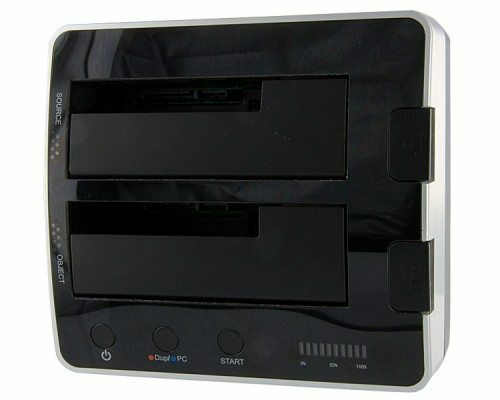 Have you ever wondered if there was a device that was both a dual external drive dock AND a stand a lone duplicator? 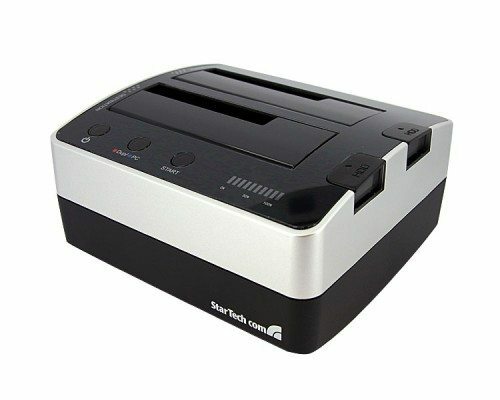 Yeah….neither have I, but I found the StarTech SATDOCK22R and will see how this niche product works and what it may do for the home computer user. I really had to scratch my head to find a way to check this thing out. What I came up with is that I needed to replace the main drive on my desktop with something larger. At the moment I have a 250 MB drive and it’s pretty much full. I purchased a 1 TB drive and normally would have used True Image to clone it in the desktop, but now I’ll attempt to use the Startech unit to make a copy. Yes, it comes with mains adapters for US, UK and European standards. There are two Sata drive slots- source and destination. 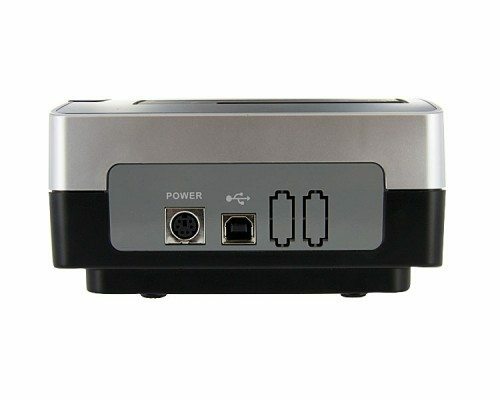 In addition we find the power, dock/duplicator mode and start buttons. The led display indicates the percent completion for a cloning operation. Power and USB receptacles are on the back plus 2 knock outs for what I presume are different versions of the device. StartTech lists various docking solutions using what appears to be the same packaging as this one. 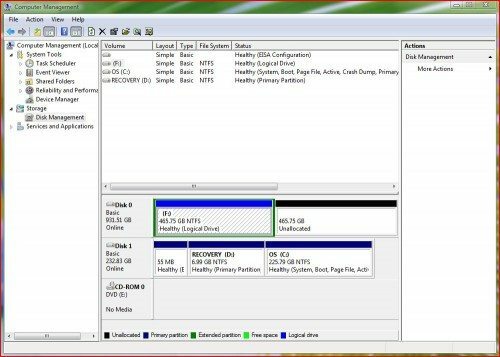 Before I was going to copy my system drive, I thought it best to attempt to duplicate the second internal drive I have. This is a 500 MB Sata drive containing some backup files. I put this drive in the source slot of the duplicator and the new 1 TB drive in the destination slot which, in one of the above stock photos reads “object” slot. Remember, this is not connected to any computer and the only cable to the device is power. I pressed the power button and after the drives had spun up ( as indicated by blue leds next to the slots), I held down the Dup/PC button for 3 seconds to put the device into duplicator mode. Now that everything was set up, I pressed the start button and waited…..and waited…..and waited. For 2 hours I stared at the led progress bar as it slooooowly moved up the scale. It took 2 hours for the 500 MB drive to be copied to the 1 TB drive. After plugging the 1 TB drive into the PC, I came up with the above configuration. The StarTech duplicator did what it was supposed to. 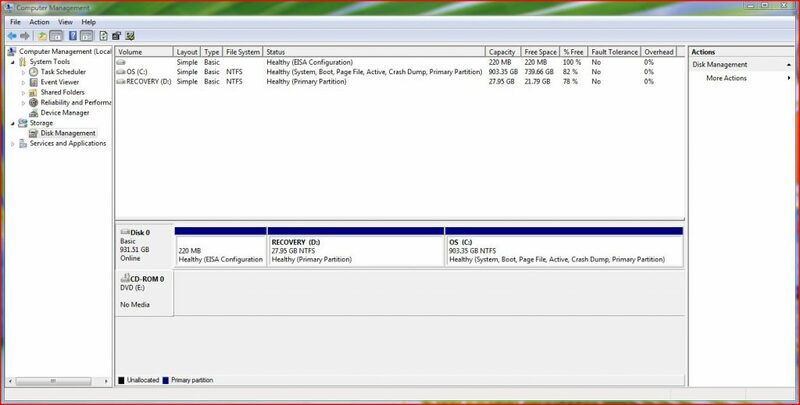 It copied the 500 GB partition to the 1 TB drive and left half the drive unallocated. 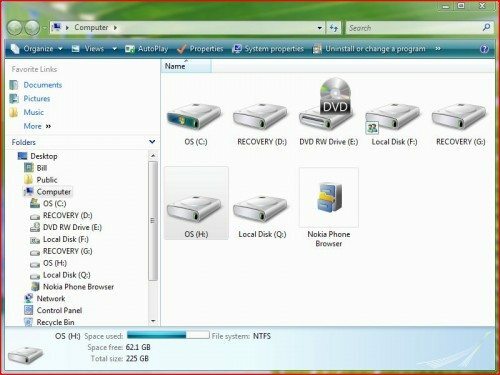 To get some sort of comparison, I decided to copy/clone my system drive using the TrueImage application. Now I would be copying a 250 GB drive to the 1 TB drive. This took about 1 hour which is comparable to the hardware duplicator, because of the size difference. 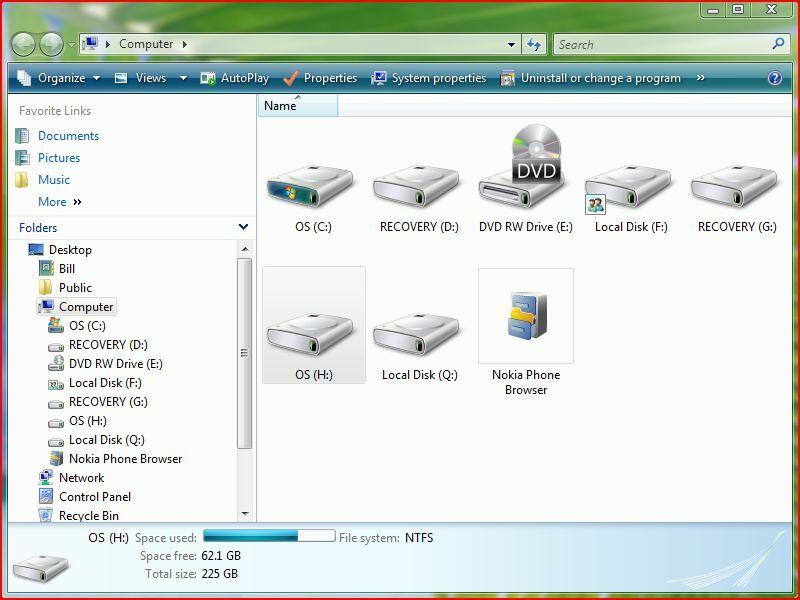 However, as illustrated by the above screen shot, the software automatically resized the partitions proportionally. It meant I didn’t have to fool around with a partitioning utility. 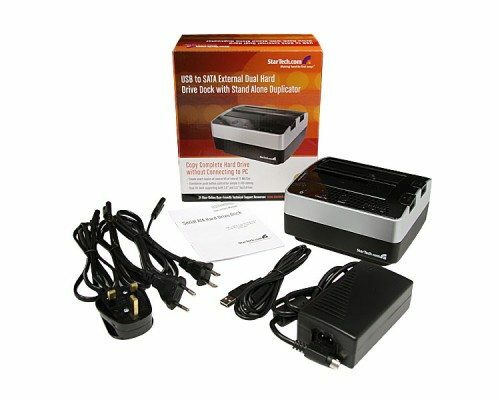 The StarTech device also acts as a Sata hard drive dock. To convert from duplicator you just insure the mode is correct and then plug the supplied USB cable between the dock and the computer. Drive F: in the above, is the original 500 GB drive and drive G: and H: are the partitions from my original 250 MB system drive. I was able to access all the drive without problem. The docking capability works as advertised. Unless you’re an OEM, System Integrator, IT Tech or the like, this probably isn’t for you. You can achieve the same results with some software and much cheaper drive dock. If you are looking to increase the size of your system drive, look for a drive dock combo. They’re available all the time from many online retailers. Do you know if the copy process handles bad sectors? It could be useful for data recovery operations. Forensics is another area that comes to mind. Very good question and I don’t know the answer. I went to their web site and wasn’t enlightened. It does a sector by sector copy, so I suppose it would copy the bad sector if it could read it. As for application, they (Starcom) suggest it could be used for “Law Enforcement and Forensics”. Theres one’s on EBay $100+ cheaper by oem manufacturer.